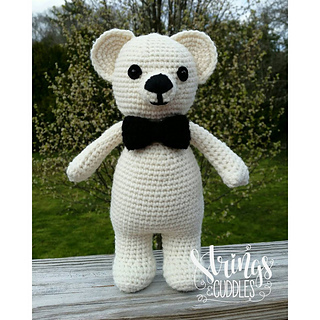 If you like making amigurumi but you hate the sewing part, this pattern is for you! 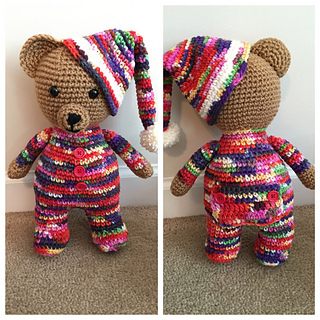 The pattern for this teddy bear’s feet-body-head is crocheted all together! The only thing left to sew are the hands, ears and the snout/nose plus the eyes. 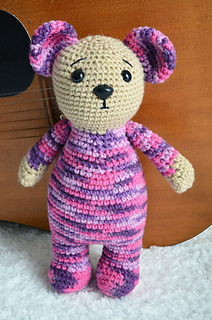 For this project I used Red Heart Super Saver in color green and pink camouflage (I only used half skein for one bear). 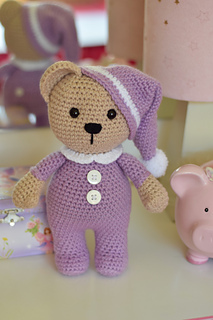 And with crochet hook size G (4.00mm) and (#4) medium worsted weight yarn, the bear is approximately 9 inches or 23 cm tall. But, of course you can use any brand, type, weight and color of yarn of your choice! If you will change your yarn, change your crochet hook too accordingly. And also the size of safety eyes. 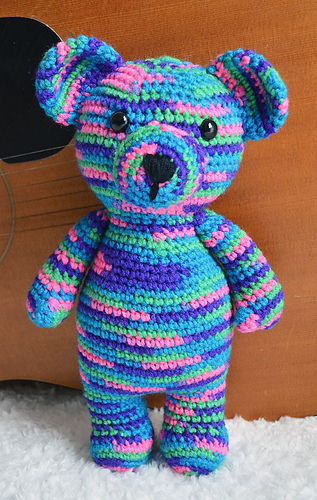 You can personalized your bear too by changing color in certain part such as feet, hands and head. Feel free to add embellishment as well such as buttons, bows, flowers, etc.